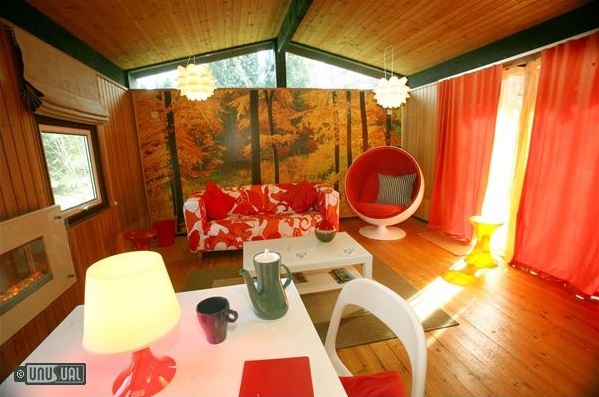 Caban Casita is a themed 1970s "Loveshack" in a West Wales woodland setting. The cabin, named No 1 in the Guardian's choice of Best UK log cabins is a delightful piece of affordable cool. Clad in pine along Scandinavian lines in a woodland setting, genuine designer pieces have been mixed with modern conveniences and a contemporary pebble fire to celebrate the best in 1960s and 1970s design. Check out the fabulous Eero Aarnio globe chair which is Dr Greg Stevenson's pride and joy! Short breaks start at just £99, with weeks in August around £500 for the cabin. Greg also manages two larger cabins with similar decor at the same location. 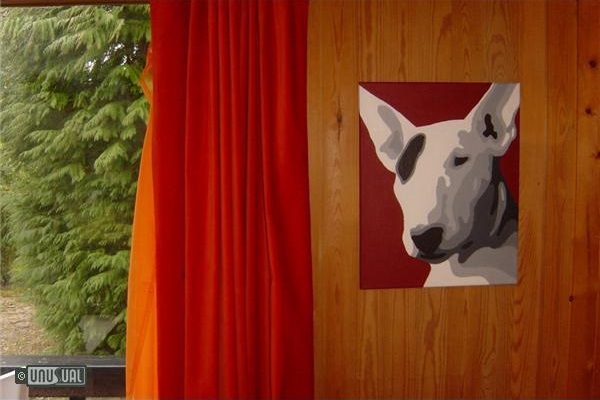 The cabin has two bedrooms - one cosy double, and the second (originally a bunkroom) has been converted specifically for dogs. 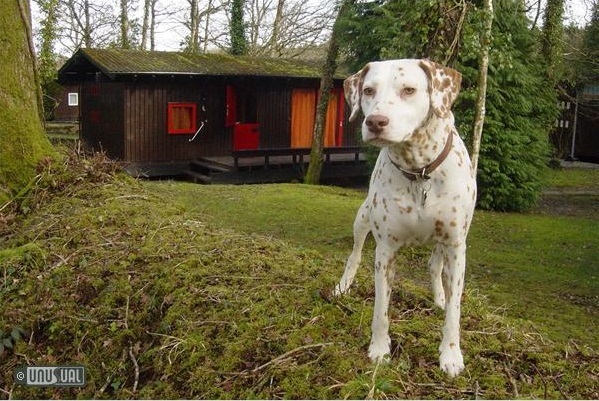 Fed up of trying to find nice places to take his dog Minti on holiday, Greg designed this cabin to be dog-friendly -with wipe-clean pine floors, washable pet bedding, etc. 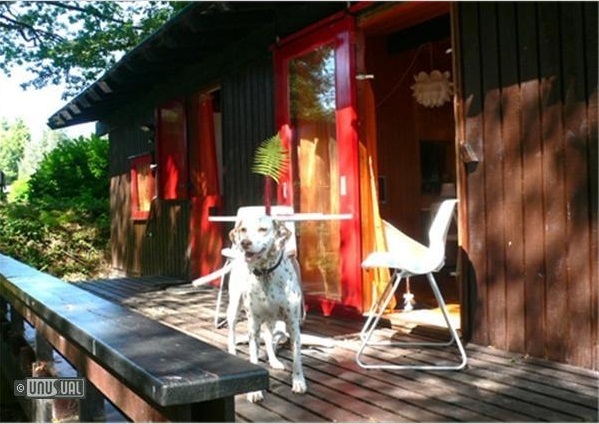 The room has a fitted dog-bed with feeding and water bowls provided, and ventilation to the woods outside. Please bring your pet's favourite blankets. The compact galley kitchen is adequate with full-sIze appliances. Groovy tableware adds a nice retro touch. The toilet / shower room is clean and functIonal. There are more facilities on site, including a heated swimming pool during the summer.